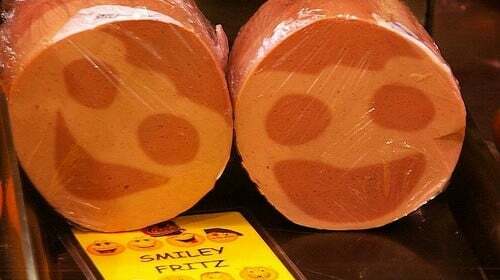 An SA supermarket has banned "free smiley fritz" and people are outraged. 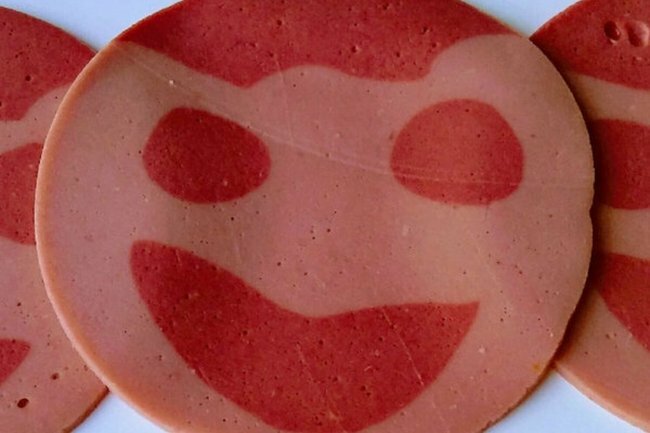 An ode to Smiley Fritz, the friendly slice of meat every South Australian kid will remember. Who could forget “helping” with the big family shop for the sole reason you might be handed the iconic treat by a friendly, plastic-gloved deli section attendant if you were well-behaved enough. “Ask the lady nicely,” mum would say, as you’d look up innocently and request a “piece of smiley fritz, please”. You knew, if you put on your cutest face and tried your very best not to whinge about wanting to go home, you’d receive the coveted gift. The coveted gift of a slice of processed meat… with a face. O Holy Smiley Fritz. Image: Foodbeast. Does it hold any nutritional value? What... animal... is it made from? Is it a horrifying mottled pink colour? Was its face... rather unsettling? But did we ever pass up a free slice of smiley fritz? It was a rite of passage as an Adelaide kid. But, in devastating breaking news, children of Adelaide&apos;s premier wine region, the Barossa Valley, will now grow up deprived of free fritz. Our hearts weep for them. Because some brat threw theirs on the ground, prompting Foodland to ban complimentary hand outs. As local media reports, Tanunda Foodland has banned the South Australian tradition after a woman allegedly slipped on a piece of fritz in the store. It&apos;s believed the fritz was dropped by a child. Firstly, who are these children going around dropping their precious fritz? I feel for the parents who raised such ungrateful spawn. Do they even know what they&apos;ve done? Do they KNOW how it makes generations before them feel? 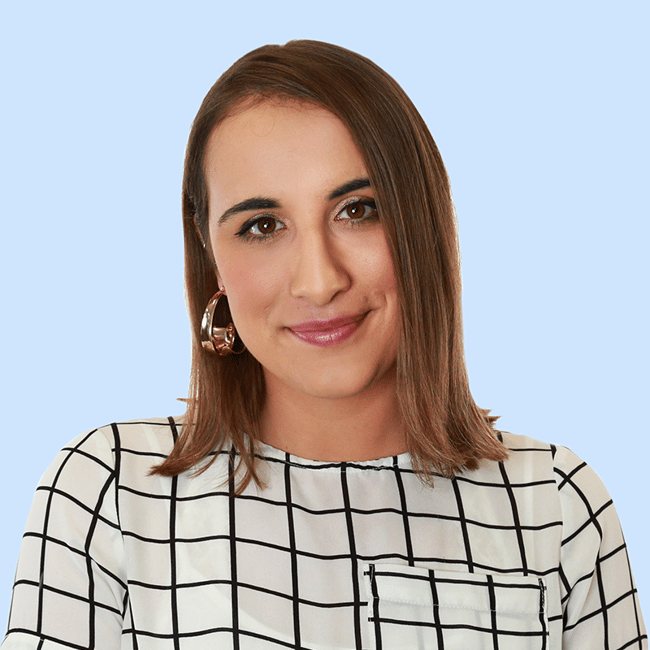 Us Adelaide millennials are outraged. It&apos;s not just "devon" with a face. Friday nights on the way home from school, a trip to the shops after swimming lessons, piling into the car on a Sunday afternoon, cherishing the final moments of the weekend before the school week started. Being handed a free piece of meat made these seemingly insignificant moments special. You&apos;d look at it in your hands with pure joy. "Look what I have here. Meat. All for going to the supermarket with mum. I am the luckiest child in the world," you&apos;d think. Then, you&apos;d fold it over, eat the eyes first, then the mouth, leaving a sort-of meat mask that you&apos;d hold up to inspect, before quickly gobbling up the rest as though it would be snatched away from you if you didn&apos;t.
Sometimes, if the universe was kind and gifted you a very, very lucky day, you&apos;d even succeed in convincing mum to buy a few slices for school sandwiches. White bread, a ton of butter, smiley fritz and tomato sauce was like crack to an Adelaide six-year-old. Smiley fritz: we will always love you, even if you are a tripping hazard.